Developing a strong brand is part of any law firm, professional service or company. It defines them, both visually and culturally. As a partner or member of the firm, you become part of the firm’s brand. But you also have your own “personal” brand, which is synonymous with your reputation. This defines you on a more personal level and sets you apart from everyone else. How you look, act, dress and behave all become part of your personal brand. Today, with the growing trend of social media and online presence, you can be in control of your own personal brand far more than in the past. It is not uncommon for a potential (or even existing) client to do a search online to see what kind of person you are. 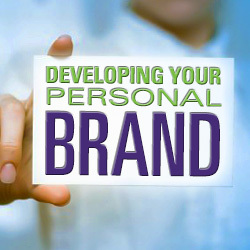 Your personal brand is all about who you are and what you are known for. While that’s a broad concept, let’s break down the process for building your brand into a few easy steps. To create your personal brand, you need to develop your “brand statement,” which will be the foundation for your branding efforts. This is a short and simple statement of who you are and what you have to offer. Here are some steps to help in creating your personal statement. Define your personality/what you are about. Are you serious, funny, organized? How do people perceive you? Create a list that best defines your personality; it can be as simple as one term or characteristic such as fun or organized. Describe your profession/expertise. Who is your brand is for? As an individual, focus on a special skill (such as creativity or strategy) or your industry (such as your niche practice area or profession). Describe what you do. It should be something that directly relates to what type of service you offer or position you hold, such as corporate law or financial services. Are you a department head, organizer or lead partner? Now look at your three lists of words. How can you combine them into a short sentence or phrase (no more than five or six words). Your brand statement should be simple, memorable, and should easily communicate who you are. It should feel inspiring to you. You might be a “knowledgeable financial planner” or “a creative corporate mergers.” Or your statement might be something like, “Igniting people to manage change.” Remember, your personal brand should represent the value you are able to consistently deliver to those whom you are serving. A strong personal brand is not going to provide much benefit unless you have valuable output to pair it with ­— providing great service, writing a great blog, having great public speaking skills, a great court record or something else along those lines. You need to spend as much time on creating your brand as you do on building relationships.